Hello, my name is Steve Wade. 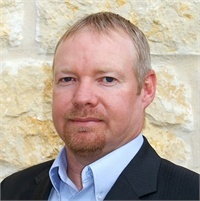 I'm an independent financial consultant in Fredericksburg, Texas with over a decade of experience in the investment industry. Financial advisors play an important role in managing your total financial life. As an independent financial consultant, I have access to independent research, state-of-the art technology, and innovative investment tools which allows me to devote my full attention to your needs and objectives. With increasingly complex financial markets and longer life expectancies, working with an investment professional is more important than ever. One of the most important decisions you can make is to seek the advice of a professional. For this important partnership, you need a trained professional who sees your total financial picture-someone who can help you define your life goals, establish a financial plan, provide strategies focused on your needs, and help you stay on track. Contact me at (830) 992-3056 to schedule your appointment today.